• We are pleased to offer free estimates and we will visit your premises by appointment to assess the furniture or project. An appraisal for the work to be done will be carried out. Different options will be considered and discussed with the customer to achieve the best results. • A detailed written estimate will be provided, giving a full description of all work to be carried out, including parts to be replaced where appropriate, the cost involved and the amount of fabric required. Timescale will be discussed to meet your expectations. • We have a considerable range of different fabrics and leathers at our showroom available to browse through. We will be happy to offer advice to assist in choosing the right fabric and finishes. If the shape or style can be changed to enhance the furniture, this will be talked through. • Over the years our experience gained from working with different types of leather on domestic and contract projects has put us at an advantage over others in this field. 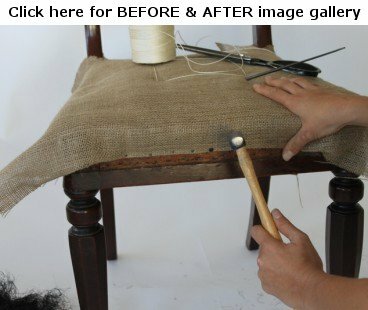 • We are members of the Association of Master Upholsterers and are signed up to their code of practice.